When you spend as much time in the rink as I do, you hear a lot of rumors. Most of the rumors are small and inconsequential, some are rather important and have an effect on a lot of people if true. For weeks now I have been hearing that teams within the MWJHL are struggling to find enough players to fill their rosters. This has not only been through the traditional rumor mill but through the teams themselves. As we move into the dog days of august, teams accross the country are putting the finishing touches on their 2012 rosters. The USHL wont be making any more cuts for a while, and the NAHL is pretty much done now. Tier III teams are also nearly done with try outs and are warpping up their rosters as well, that is if they worked hard this summer. Months ago I spoke to MWJHL Commissioner Pat Pylypuik and expressed my concern that the league was attempting to start too big and too fast. Pat informaed me that the teams were confident in their ability to recruit players and put teams on the ice. Unfortunately, the Commissioner has not been taking calls recently. I informed the league again just ver a week ago about my concerns. My concerns are not for any specific team or the league itself, but is for the players. Players committing to teams that dont play will end up scrambling for a team at the last minute. Now, multiple sources have confirmed that the MWJHL will push back the start of the season two weeks. This is most likely just the beginning of changes expected. Attempting to start with sixteen teams was far too agressive. There are not enough players to fill the teams. Calling yourslef Tier II while charging tuition was inexplicable. In the Mid West, an educated consumer wont believe it is Tier II hockey unless it is free to play. Perhaps the biggest mistake is allowing inexperienced operators into the league without forcing them to hire an experienced hockey person to operate the club. Examining the MWJHL’s tender list, teams are placing players on that list that will never report to their team. They are doing this to show prospective players that they have enough bodies to ice a team when they really dont. One team actually has a player listed that is on a USHL 30 man roster! Other teams have players listed that have already signed contracts or tenders with other teams throughout the country. 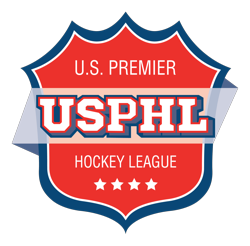 A few smart operators have aligned themselves with USA Hockey sanctioned teams that have sent them cut players, most of these players are not ready for other USA Hockey Tier III leagues. 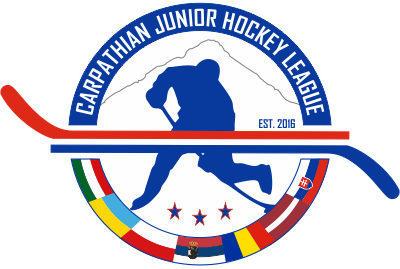 MWJHL leadership should be informing teams today that if they do not have enough players to compete by monday August 20th, that they can not play this season. Three lines of forwards and defense and two goalies should be the minimum standard to play a game. Those teams that do have the players can move forward, those that do not will need to send their players to those other teams in order to make them stronger. If the league doesnt take control and provide this type of strong leadership, teams will certainly begin failing on their own in short order. Getting in front of the problem before teams collapse later will show not only good hockey sense, but good business sense. Stay tuned as we bring more to the story over the next few weeks.